Posted on October 9, 2017	by Rachel L.
Leaders have choices when it’s time to select an e-learning course for their teams. What does video content bring to the table? What makes video content such an important part of modern training? The digital transformation that has occurred throughout the business world has given companies a lot of new options. Training programs have changed in the years since affordable high-speed internet became a requisite part of today’s workplace, and e-learning has presented a flexible and accessible new way for organizations to impart new skills. Moving to digital training isn’t an entirely straightforward process, however. Training leaders have to decide what kind of course to purchase. Should the chosen platform have mobile features? What about interactive features? Video content is one of the important elements that some e-learning offerings possess. Online video has its own unique set of advantages, one worth considering when establishing a corporate training curriculum. 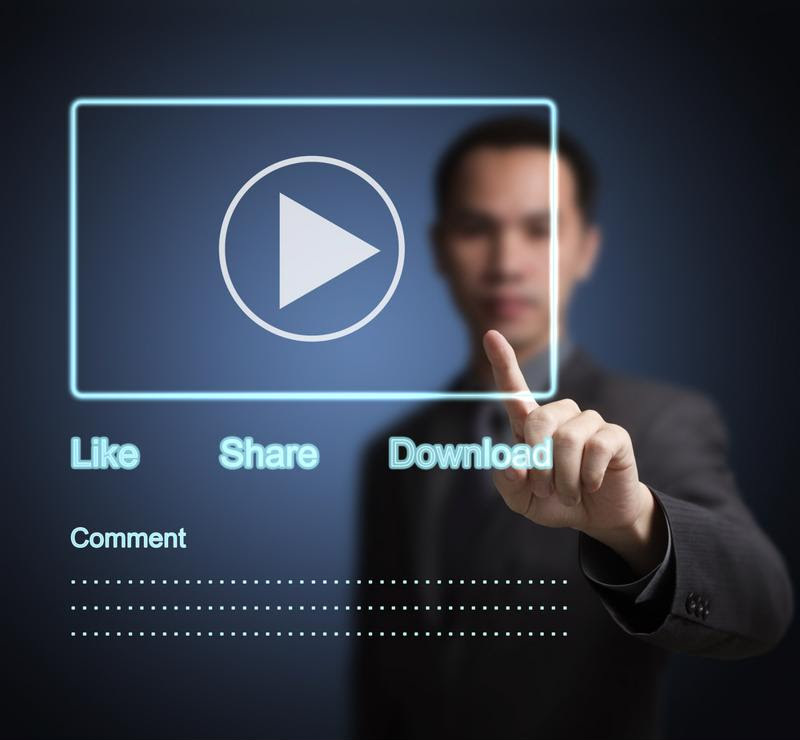 One reason to use video as an information delivery tool is its popularity with employees. It’s easier to make a training program stick when the students are positively disposed toward the content from the start. ELearning Industry reported that one of the prime distractions facing workers today – a tendency to watch online video content while on the job – should serve as a clear indication that people have no trouble absorbing this kind of content. If training leaders can harness this preference, they can make learning a quick and painless experience for trainees. The source pointed to research by psychologist Liraz Margalit, who promoted video’s importance by noting the human brain’s superior processing of visual information as opposed to text. When lessons are taught via video, pupils’ minds stand a better chance of taking in the information. With this easy way to impart facts available, it’s clear why training leaders would pick video-based courses for their teams. The rise in popularity in video learning can be tied to the expansion of the devices and internet connections that empower such training. As Chief Learning Officer pointed out, officials have felt free to add video to their curricula in recent years due to the fact that employees now have the capability of seeing high-quality content from their desks – or even while on the go. The source added that as the millennial generation rises into the workforce, with a high percentage of employees being digital natives born within the past 30 years, tech-enabled training methods will only gain in prominence. This means that video and mobile delivery of learning are on the rise, alongside e-learning in general. Young workers have grown up taking in video-based information, and this trend can continue at work. Casual video-watching points to a general preference for moving content. Leaders wondering whether their teams should use video learning must realize it has already become a deeply entrenched part of the training market. Indeed, the Training Magazine 2016 industry report named video training the No. 2 most prominent tech trend, following only learning management systems. Videos are employed by 73 percent of respondents, up from 72 percent in the 2015 survey. The method is more popular among large companies than small businesses, pointing out another of its potential advantages: When a training manager needs to reach a large group of pupils with a message, asynchronous video is a great way to proceed. A small company may be able to pull its whole team into a room and explain something, whereas a large corporation could be looking for a technological way to do the same. Video can prove its worth in such scenarios, with detailed visual information reaching people around the world. With that said, video is not unheard of at small businesses – 64 percent of the SMBs in Training Magazine’s survey use this kind of content. Organizations of all size may be using technology to embrace a global remote workforce or flexible work schedule. In such cases, it may be hard to unite the group for training, making video courses, and e-learning in general, a valuable answer. The growth and adoption of video are easy trends to embrace because they play off a natural gravitation toward online content, according to Printing Impressions. People have been educating themselves with video for years, and when companies create formal e-learning plans incorporating video, they are simply making this existing concept into a major part of the organization’s strategy. Printing Impressions indicated that video content will continue to expand its role within organizations’ formalized learning structures. Becoming better at choosing and deploying this content may prove a critical skill for training department leaders in the years ahead, especially considering the fact that video fits in with a few of the other trends on the rise in enterprise, such as the use of mobile devices to consume content and a general preference for online courses. There’s no need to give employees a jarring or unnatural training experience. Leaders can assign content that fits in with media consumption habits and suits the human brain’s preference for visual stimuli. This all plays into video’s expanding role as an enterprise training method. At MasteryTCN, every course we produce includes video. Click here to view a listing of all available courses. This entry was posted in Training News and tagged elearning, training, video, video based training. Bookmark the permalink.